You are viewing the archived Coffee ratings. Follow the link to view the current coffee rating page. 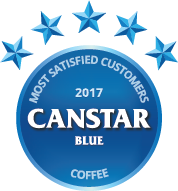 Compare coffee in New Zealand at Canstar Blue. Jarrah, Avalanche, Budget, Bushells, Caffee Aurora, Gregg’s, Hummingbird coffee beans, International Roast, Jed’s Coffee Co, L’affare, Moccona, Nescafe, Pams, Robert Harris Coffee and Special Blend, were compared on value for money, variety and range, taste, packaging appeal and overall satisfaction. Jarrah awarded maximum five stars in variety and range, taste, packaging appeal and overall satisfaction. Long black, flat white, instant or beans, however you take yours, it’s no surprise that nearly half of us in this coffee obsessed nation of ours say we need a coffee in the morning to get us going and kick-start the day. But it hasn’t always been this way. Despite originating in fifteenth century Ethiopia, coffee did not hit New Zealand shores until somewhere around the nineteenth century. Unfortunately, high taxes on coffee beans and our already established love of tea, meant that it was not until the 1950’s that the coffee culture we know today began to emerge. From there, it would take another 30 plus years before coffee became our nation’s favoured hot drink. Today, New Zealand is ranked as the fifteenth largest coffee consuming county in the world, drinking just under a cup a day per head of population. According to Canstar Blue’s latest survey, it’s taste we rate as most important when choosing our favourite brew. That said, 41% of us are happy to try a new brand if it is on special offer in our local supermarket. Overall satisfaction winner Jarrah rated a maximum five stars in all but value for money where it recorded four stars. Special Blend was the only brand to be rated five stars in value for money. And once you’ve drunk it…. Sticking to the beauty theme, add a few coffee grinds to your conditioner for extra shine. Canstar Blue commissioned I-view to survey 2,500 New Zealand consumers across a range of categories to measure and track customer satisfaction. 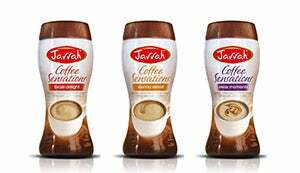 The outcomes reported are the results from customers who have purchased and consumed coffee from a supermarket in the last six months – in this case, 1,902 New Zealanders.